Chachapoyas has been one of Peru’s best kept secrets for years. Hidden in one of the most remote corners of the high Andes, and boasting innumerable and priceless archaeological ruins, this is the region avid adventurers head to when they wish to get completely off the well-hiked trail. Imagine exploring a beautifully preserved ancient fortress with just a handful of visitors and two stray llamas for company. Or hiking through a luscious cloud forest for hours, ending in one of the highest waterfalls you’ll ever see, encountering barely a few souls along the way. 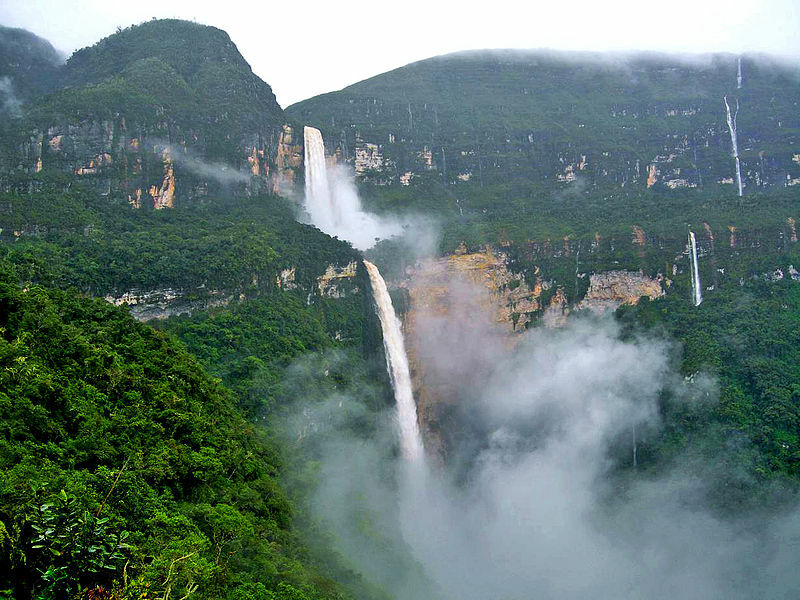 This is what Chachapoyas has offered for years, to the very few who even knew it existed. View from the Kuelap Fortress, Chachapoyas. Photo credit: Christopher Crouzet. The whole Amazonas archaeological region of Chachapoyas – also the name of the main town – is as enticing to explore as it is difficult to reach. Yet the rewards, for those willing to take on the challenge of actually getting there, are immense. Some say this is Peru’s most captivating region, the one that hides the most ancient of riddles. 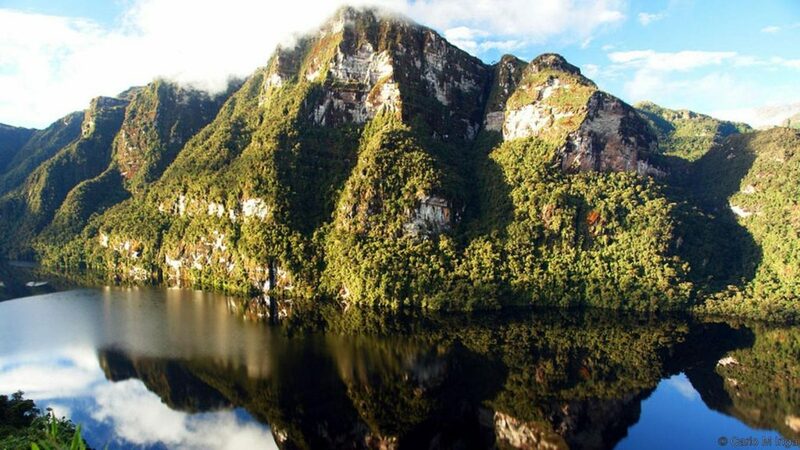 There is a lake that hides a 500 year old secret, and mountains that were the last resting place of ancient rulers for centuries, before being sneaked out and put on display in various museums nearby. But there is so much strewn all over Chachapoyas that is still there. Archaeological and natural wonders discovered a few years ago, yesterday, probably even tomorrow. The Soloco Fortress, Chachapoyas. Photo credit: I. The most prominent site here is undoubtedly Kuelap. An ancient city of the Chachapoyas people that’s three times older than Machu Picchu and the largest ancient stone-city in Pre-Columbian America. Do the ruins here match the more well-known site in grandiose detail? Maybe not. But what they do boast is an aura of complete abandonment and newness, all at once. As you meander your way through Kuelap, spotting million year old bones through the windows of tree-encased dwellings, you feel as if you’re the first person to ever be there. Kuelap may be well-known by now in archaeological circles, but there are plenty more gems yet to be stumbled upon. Who knows…maybe even by you. What sets this place apart from all others, and what makes it a most mesmerizing place to visit, is its obscurity. The same anonymity that kept it exceptionally preserved, is the main reason you should visit. All before the crowds start appearing. And trust that they will. The Peruvian government has made good on its promise to build a cable-car to Kuelap, with the opening expected to take place sometimes before year’s end. Our suggestion? Get here before that happens, if not sooner. Chachapoyas town is in the north-western corner of Peru, about 400km inland from Chiclayo and 300km from the El Chorro/La Chonta border with Ecuador. It is a wonderful base for exploring the archaeological sites of the region, and for hikes to nearby waterfalls and canyons. It sits at an elevation of just over 2,200m and, during rainy season, is almost completely cut off from the rest of the country. The capital of the Amazonas region, Chachapoyas enjoys a premier location, cradled by the very arid Western Andes and very luscious Eastern Andes. This unique location offers an eclectic topography of verdant rainforests and arid high-altitude peaks and plateaus. 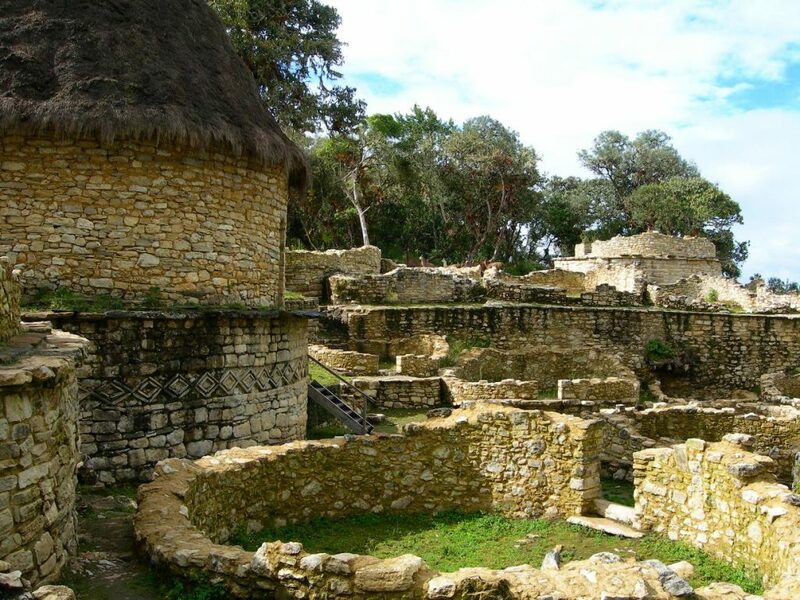 What to see and do in Chachapoyas? Chachapoyas town is certainly nice enough, with a lovely Plaza de Armas whose primary attribute is its unusual lack of tourists. Yet the main attractions here are outside of town. Kuelap Fortress – The ancient Fortress of Kuelap is an absolute must. 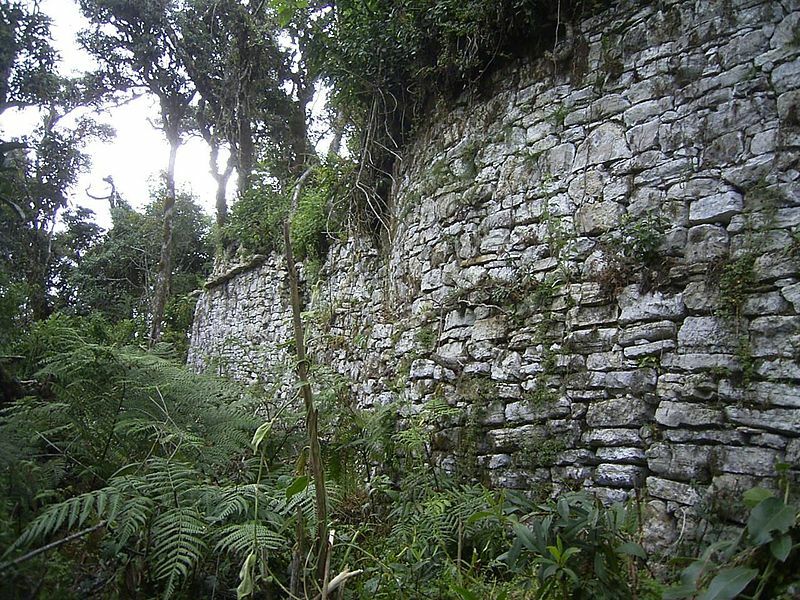 Dating back to 600 AD, Kuelap is as venerated by experts for its stellar condition as it is for the mysteries it still hides. Not much is known about the site, except its age and date of its abandonment (about 500 years ago). Built by the so-called Cloud Forest People, Kuelap sits at 3,000m above sea level and affords the most magnificent 360 degree views imaginable. Fortress of Kuelap. Photo credit: Elemaki. 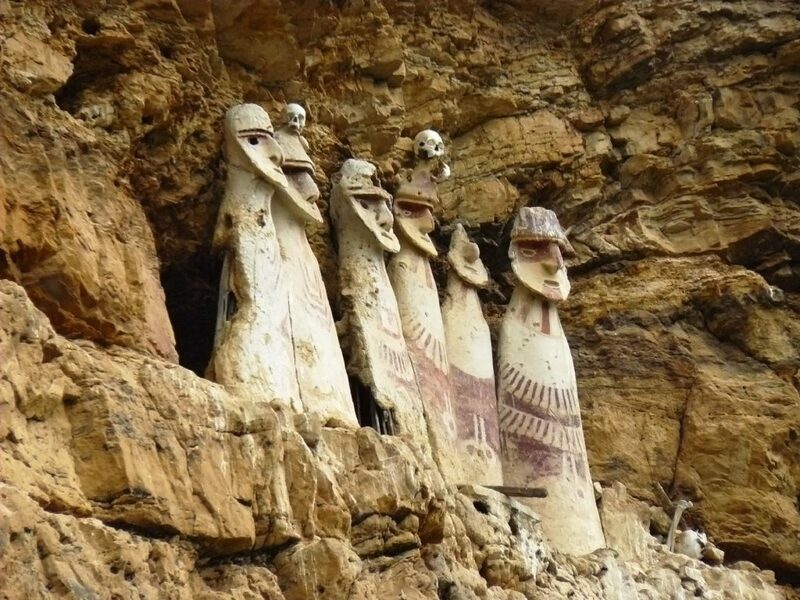 Sarcofagos de Karaja – If you were to loot the statues of Easter Island, shrink them, lug them on a dinghy all the way here, and drag them up a mountain side, you’d get the awe-inspiring funerary statues of Karaja. 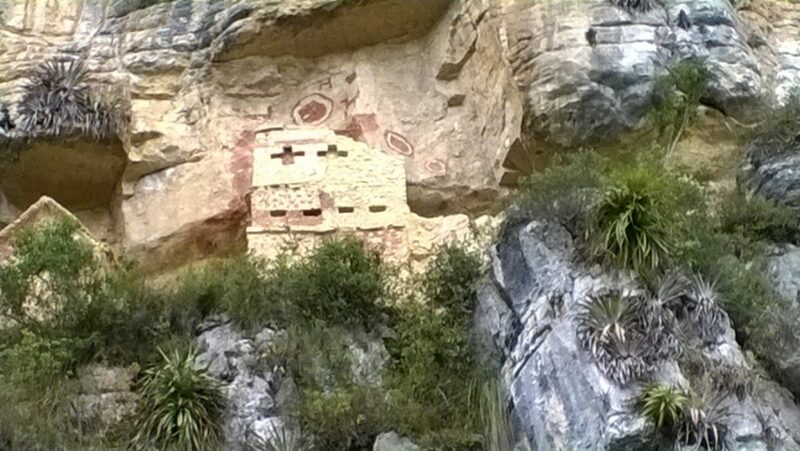 Discovered merely 30 years ago, the sarcophagi of Karaja give an invaluable insight into the funerary practices of the Chachapoyas culture. They measure 2.5m in height, and are situated in a hard-to-reach ravine, well away (for the most part) from the ravenous hands of looters and collectors. Insanely remote and tricky to get to, these mountain-side coffins are an absolute splendour. If not a little eerie. Tombs of Karanja. Photo credit: JF @ Flickr. Gocta Waterfalls – Hidden in a canyon long thought by locals to be haunted, the Gocta Waterfalls are simply stunning, as is the hike needed to reach them. A somewhat challenging trek through dense forest will reward you with spectacular views of the powerful 540 m tall falls, framed by a mix of jungle canopy and striking rock formations. The Cocta Cataracts. Photo credit: Elemaki. 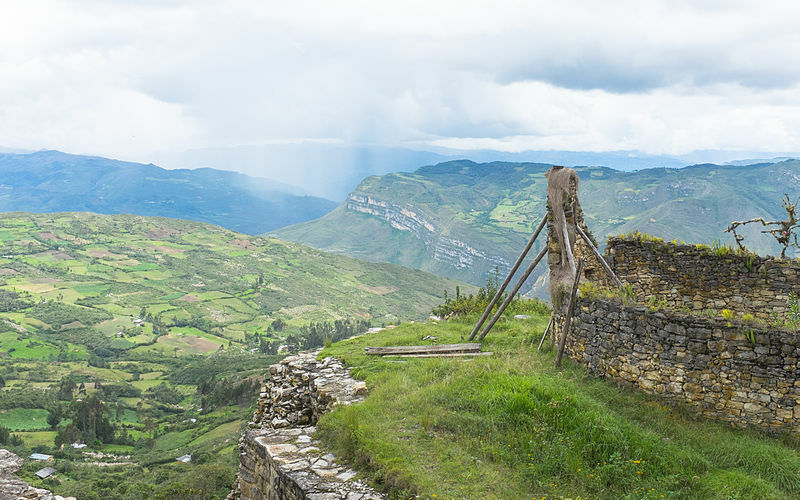 Revash Mausoleum – if there’s one thing you can say about the Chachapoyas people, is that they definitely knew how to pick a burial spot with glorious views. The Revash Mausoleum is a burial complex found at 2,800m in altitude, carved into the rock face of a sheer cliff face. Hiking-allergic visitors will be delighted to know that horseback tours can be arranged! The Mausoleum of Revash. Photo credit: Greg Batchelder. 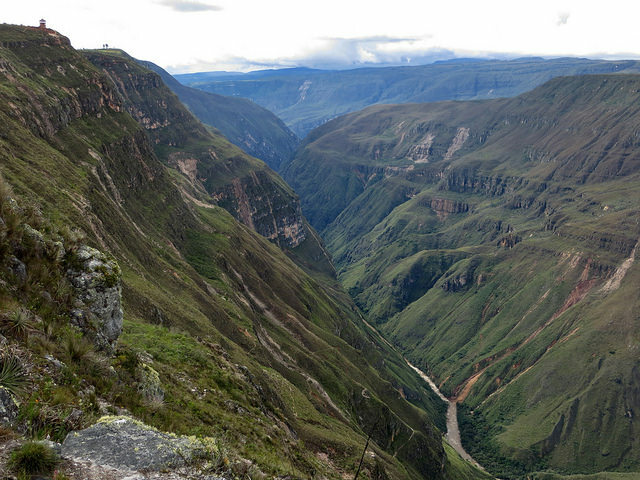 Sonche Canyon – Only a few kilometres outside Chachapoyas town is where you’ll find this incredibly spine-tingling canyon. Sonche stretches for 11km, is 2km wide, and falls precipitously down almost 1,000m to the Sonche River. With strategically placed lookouts planned to afford you uninterrupted views, the Canyon del Sonche is a sight to behold. Feeling energetic? Then enjoy the 2-hr hike back to town through rich forested valleys. Canyon del Sonche. Photo credit: zug55. Laguna de los Condores – At first sight, Laguna de los Condores may appear an ordinary lake. But in Andean regions, of course, ordinary means utterly breathtaking, and not only due to the altitude. Forest-draped peaks jut out from the dark yet sparkling waters. Vertiginous snowy peaks tower above, and cloud forests surround it on every side. The Mummies Lagoon, as it is known to locals, is a mystical site where an estimated 70 perfectly preserved mummies were discovered merely two decades ago. The Laguna de los Condores is possibly the most remote site, in the most remote region of Peru, and requires a full-day hike from the nearest village. But if you’re an archaeological aficionado, dare we say you’ll find no better place to visit. Laguna de los Condores. Photo credit: Carlo M Inga. Let us guide you to Chachapoyas, one of Peru’s most fascinating corners and a region that’s hard to reach and impossible to forget. Northern Peru hides a cache of hidden secrets, all of which are easy to include, or combine, to create a once-in-a-lifetime tour of discovery. Needed yet another reason to book an unforgettable tour of Peru? Consider it found.